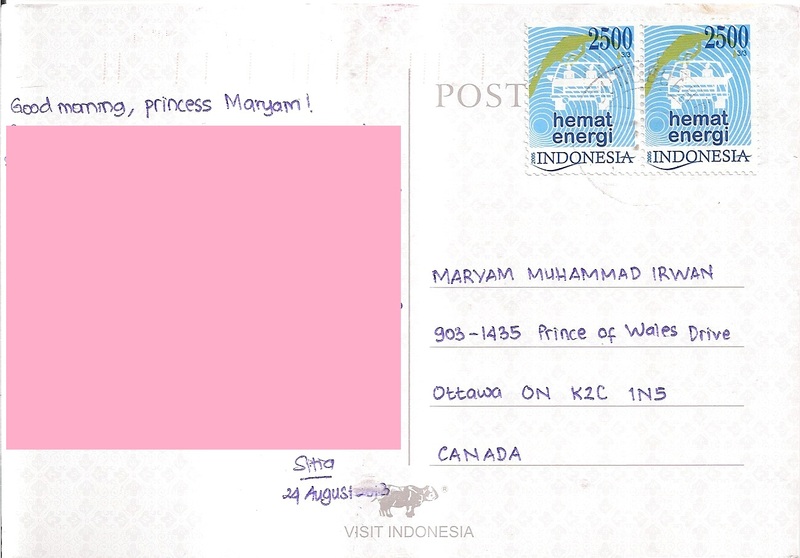 A postcard from Indonesia, sent by a visitor to this blog, Sitia of Bekasi. 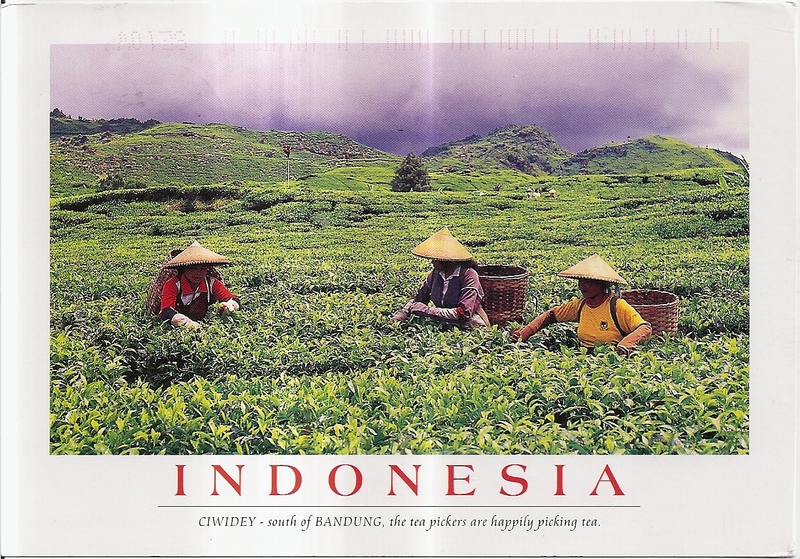 The postcard shows a group of tea pickers in Ciwidey, Bandung. At the back, Sitia used two stamps on energy conservation. The postmark date and location are not clear. Thanks a lot Sitia! Nice to come across some information about Bandung!